After a landlord lost her bid to evict a tenant she says habitually pays rent late, a dispute resolution officer told her to keep better records. The case was heard after the landlord served a notice to evict for late payments. At issue was whether the landlord could present a compelling case for eviction. 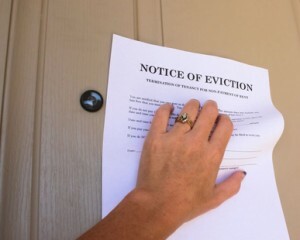 The landlord had made an earlier attempt to evict after servicing a ten day notice for unpaid rent, but the tenant paid and voided that notice. The tenant claims that he had the rent cheques ready on time, but the landlord never picked them up. When the landlord presented the dispute resolution officer with a record of rent receipts, the tenant’s advocate challenged the document because all entries appeared to be made by the same pen. He asked whether the landlord had kept contemporaneous records. The landlord’s agent admitted that the landlord crafted the registry from “rudimentary” rent records. A landlord witness attempted to prove late payments by showing bank deposit records, and testifying that the landlord always deposited the cheques within two or three days of receipt. But the tenant was able to produce copies of cheques that showed he always dated them the 1st of the month. He claims that the cheques were ready for the landlord to pick up. The two live in adjacent units, but the tenant said he preferred the landlord come by, rather than knocking on the landlord’s door. The eviction notice was set aside, and the tenancy was reinstated. The officer ordered the tenant to pay future rent via direct deposit to the landlord’s bank, and to keep receipts for proof of payment. Because the tenant was not required to pay a filing fee, no fee was awarded. Next post: What Can I Say When Giving a Landlord Reference?